Dating and finding a lasting partner shouldn't feel like another full time job! As a busy professional or business owner like you doesn't have time to mess around. Going on dates with duds can be expensive and time consuming, and both are incredibly valuable commodities! One thing is for sure: you shouldn't let your age get in the way of you finding real romance. That's why you workout and eat healthy anyways! Luckily, you can easily find an "over 40's" or senior dating site that makes the process so much simpler and facilitates real relationships. 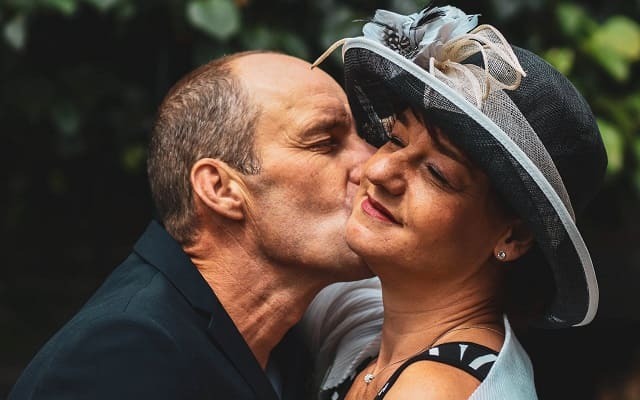 Over 40's and senior dating websites are simply a better way, especially for busy people that don't have a lot of time to get out and meet people due to family or career commitments. I know many clients and associates in their 40's and 50's that have had a lot of luck with older dating online websites. It's a fun and risk-free endeavor, not the craziness that you witness on reality television like Love Island, The Bachelor, Married At First Sight, or 90 Day Fiance. Dating sites are convenient, practical, and get real results. What makes them even better is that there are plenty of online dating sites that are cheap or completely free of charge! If the dating website is free or low in cost, then there is no risk and it's all upside! Online dating sites have worked for me and several close friends, and these dating sites will work for you too! First you want to find the right site for your age and other needs. There are plenty of free older dating websites out there so you should do your due diligence to find the one right for your age and preferences. One great option is Older Dating if you are living in the UK. Utilize multiple sites if you have the time and desire to do so. Once you find the right dating site it's time to sign up! Make sure to complete your dating profile including answering all questions you feel comfortable answering, answering questions, and filling out all fields honestly. Filling out all the field shows others looking at your dating profile that you are invested in the process and serious about finding someone. Put some thought into your answers. Be honest about who you are and who you're looking for! Upload a current high resolution photo and several other photos of you in casual and more formal settings so your potential dates can visualize themselves with you in a variety of settings. You can certainly use a flattering picture (maybe one or two flexing if you must), but also make sure your dating profile pictures are diverse and accurate. Inbound marketing is all well and good in most situations, but now isn't the time to sit around and cross your fingers waiting for profile clicks and messages. Sitting around waiting for Mr or Mrs Right to message you isn't usually the best way to go. You need to be proactive and check out profiles, start conversations, and getting some dates scheduled in your calendar. Message that beautiful prospect, you have nothing to lose and everything to gain! You're older and more established so don't just go to a bland bar or lame restaurant for your date. While you may have a lot in common professionally, it's probably best to keep the workplace out of the dating options. Visit a breathtaking local vineyard or popular new brewery, enjoy a musical or concert, take a cooking lesson, go on a couples trip to the spa, head to a sports game, or go to a couples paint night. But most importantly be respectful, be punctual, and be honest. You need a little work-life balance and not just more hours at the office. Get out there and find love again on the web! Dating websites are here to help no matter what your age. I hope you enjoyed this article about how dating websites can help you find a lasting relationship while being efficient in terms of time and money. Interested in more articles about finding the right partner?